American Civil Liberties Union President Susan Herman, BC ’68, Harri Hursti, a data security advocate, and Wendy Weiser, director of the Democracy Program at the Brennan Center for Justice spoke to students Thursday evening about of voter suppression, voting rights legislation, and gerrymandering in the current political climate. 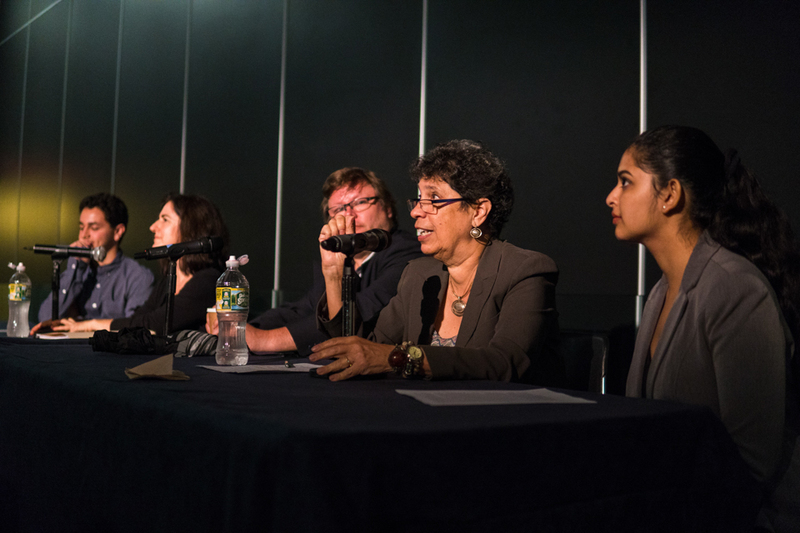 The panel, titled Identity Politics and the Electorate, was a part of Voting Week—one of Columbia’s largest on-campus political events. The week runs from Sept. 28 to Oct. 6. The event, hosted by the Columbia Political Union, aims to motivate Columbia students to engage with government by voting. Herman spoke to students about the importance of voting rights after the Supreme Court struck down portions of the Voting Rights Act in 2013. Citing specific examples from around the country, Herman warned students about the direction state legislatures are going in to ensure protection against what they call voter fraud. “Yeah, voter fraud is about as common as unicorns,” Herman said. Weiser commented on the significance of voter suppression and voter rights laws. She believes that the country is facing the most significant episode of voter suppression since Reconstruction. This suppression, she stated, is chiefly partisan, geared toward suppressing the rights of Democratic-leaning minority groups across the country. A student asked the panelists whether or not voting rights should be treated as a human rights issue. Weiser, the first to answer, told the student that voting rights are currently not a part of the human rights framework. Herman, however, highlighted several ways in which the federal government could improve the voting process for citizens, such as making voting day a national holiday and allowing for early voting nationwide. Despite the persistent issue of voter suppression, Weiser noted that certain advancements have been made in expanding voters’ access to elections. Among these advancements is a system of automatic voter registration, which has been enacted in 13 states and Washington, D.C.
“We’ve made a lot of actual progress amidst all this, even in states that are trying to cut back on voting access,” Weiser said.